Club Penguin Cheats by Mimo777 Club Penguin Cheats by Mimo777: TOOTLYMPICS at Tootsville This Saturday! SUPER SNEAK PEEK! TOOTLYMPICS at Tootsville This Saturday! SUPER SNEAK PEEK! Guess what I just learned? 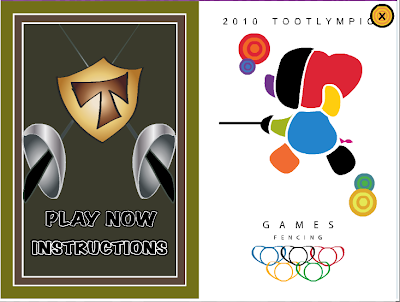 Tootsville will host it's very own TOOTLYMPICS! 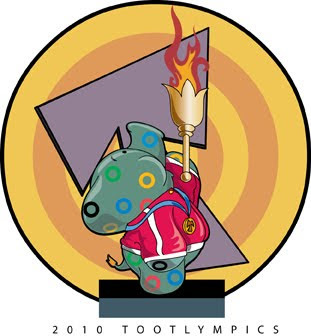 Tootsville will launch the 2010 Tootlympics. I got a secret sneak peek to see the games and they are so very sweet! 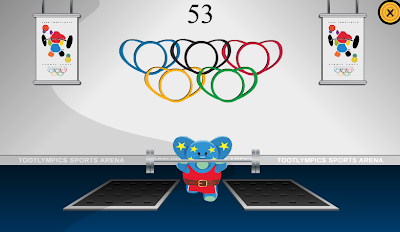 In Toot style the games deliver medals that you can see posted on a giant medal leader board! The Mayor said he would be giving out some major prizes to the leaders each week! I hear there will be lots of festivities, they will be passing the torch to the new Magic Toot, if you were one of the Toots to be lucky enough to be a torch barer CONGRATULATIONS! 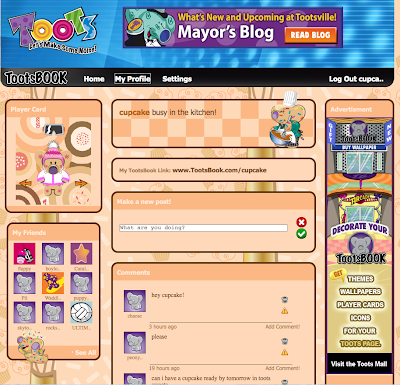 They also launched TootBook which rocks, so if you haven't set your page up yet you should cause it's really a lot of fun! Also the Mayor said he would tell me the biggest news of all very soon, so stay tuned! kewl! I love love tootsville you never get bored of it. Wow! There is going to be the olympiecs and I am gonna so be there! 7am? YAY! Im up by 6am lol. Thanks for not letting it be 3am lol! Mimo, there are boxes all around Club Penguin. Like there is a purple box a tthe night club. That must be for the purple puffle for the party. hey i'm gonna have a party for my 700th day in CP!!! it's febuary 13 2010, 4:00 club penguin time!! hope you'll be their! I noticed that to stickers! Did you notice the underground Pool? All the water is gone, But why!? 7am? YAY! Im up at 6am lol. Thanks for not letting it be 3am lol! Hey Stickers! Did you know its actually 7pm for you? You know the older Orange Puffle post? I HAVE AN IDEA! It will come out on April Fools, get it because its smiling! Awesome! Tell her I said Happy Birthday. I think that's a pretty good theory you have there! Cool! Kinda like the ninja. Have you read the rules on how to be a CPG Mod? If not read the earlier posts that have the link on how to. Good luck! I would love to come, but you are missing the server and the room! Add that and i will definitely come! Good luck being a CPG Mod! I know you can do it! I think one party for you was like 10pm. Lol is that's the bad part about living in Australia! I think it should be sooner than that, but maybe! Your lucky, my computer is really slow and Tootsville locks up ALL the time! I know this isn't about Tootsville... but still. Y'know how the Yellow puffle was attracted by the stage? And the white puffle was brought here by the cold? Well maybe the orange puffle came here by the crazy places around the island! 'Cause notice how it appears in the Box Dimension, where stuff floats around, and it also appears where Fred the coo coo clock is. So there's only one reason why: It is a puffle that likes being crazy. So obviously the winner is purple, with a whopping amount of three votes! Whoppee! -----------ĠĻÌŤČĤ ALERT------------------- omg omg OMG today in CP i was wearing my guardian dog costume (the one where you can turn into stone) and i put the sheep body thing and and and and when my penguin turned the sheep costume went!!!!!!!! and when you turn again it comes back!!!!!!!! SrRyY for the exclamation marks!!! im so excited!! its like a transformerr! and i just relized my comments are always soo long!!!!!! Omg, didn't that lady who sand the Canadian national anthem at the Olympics look like Selena Gomez? My bro came up the stairs saying "I loved that!" Me: "Did you see her?" Bro: *giggles and smiles* "Yes, I did..."
i was watching the winter olympics and saw the "We Are the World" revised with the top artists. Jason Mraz was in there! In your face, Limit6! lol jk! Hi guys! Sorry if it offends you hnwjanuary, but your idea of a poll is so awesome that i want to copy you. is that ok? plz answer me, hnwjanuary! I know this doesn't really matter. Happy Birthday Grandma Stickers! lol, I just thought of a name sorr. He ment that one time it was at 3 am. Good luck! Remember to answer questions! Why can't Club Penguin do something like this? The olypics in canada! Finally I get to see my home country Host the Olypics! Time to party! Club Penguin has! 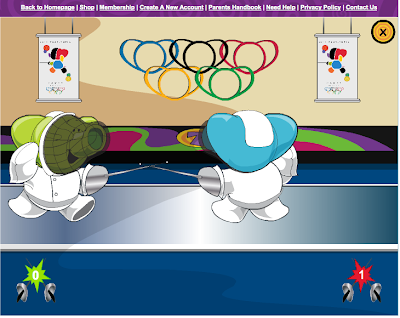 In 2008 Club Penguin held an Olympics Party where you could enter the marathon and swim! When you completed it you received a medal! Hmm..tootsville looks nice..maybe i should try it out..
hey mimo, i donno the exact time but i think every 15 minutes, a fish comes out of the river at the new stage! Plz give me credit! I don't know actually!Maybe if we suggested it to them to do it for the Summer Olympics in 2012 they might! I loved the consolation bear! It was so awesome and big! i dont play the game but it look cool. Hey mimo srry This isn't about tootsville(even though its awesome!) I was just wonderin when u were gonna pick the winners of the Haiku contest. K Thx so much Waddle On!!! That's awesome, Karate song! I wonder where the Olympics will be next year? Thinks...Sure, I don't mind! Go ahead, as long as its not the same poll as me! Sorry, but we already know this. Mimo already posted it, sorry! But thanks, because some penguins may not have known that! He'll only add mimo mods, mega mimo mods, and top mods. Cool! Make a Valentines Day header! I have one on my site! Yeah! I think soon, but we will have to wait and see. Good luck! Mimo can't add you on CP unless you are a Mimo Mod or a higher ranking. Or, just be one of the winners of the haiku contest! Well actually, two years ago, cp did do something like this. 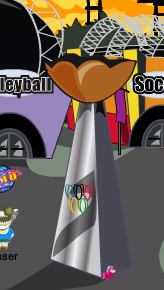 It was called the penguin games, and if you finished all the events you could get a medal. Sorry, but mimo already announced that about a month ago. If you wanna be on mimos post, you gotta be fast! Thanks for noticing this! Mimo already posted about it in an older post though! I would say sometime between this weekend and next weekend. If you entered good luck! Hnwjanuary11, there are no Olympics next year! 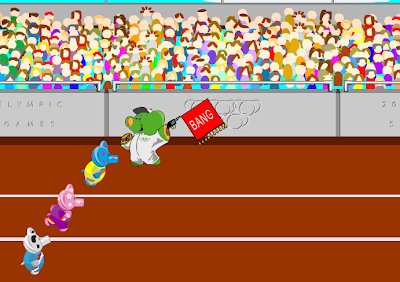 But in 2012 the Summer Olympics will come! It's pretty cool! If you have a slow computer i would not recommend it though! Mimo can you answer my question? Today, my mom bought me a 1 month membership card. But I'm not sure if I should enter the code. Help me please!!! im clicking on mittens which only has one bar and it says that the sersver is full! ooh i think i know whats happening. they are lying saying that all these servers are full but they only have one bar. they are getting a pic of the puffle to make a new blog post! whos with me?! CP is loading so slow. I have been trying to log on for at least 5 minutes. Anybody got any help? PLZ? You can enter the code! Don't worry about anything. Just click the membership page of cp, and at the top of the page click card activation then just follow the steps! It's easy! Same for me! I think that they are getting a pic of the orange puffle for CP! It will be back on soon! Actually that isn't a glitch! When you wear that costume and wave, you turn black and white! It's a special power! Club Penguin wrote about it on their blog. No, Club Penguin IS NOT shutting down. They are making updates to make the game faster and there are many bugs about it. It takes for ever to load, the home page is messed up sometimes, and your connection gets lost all the time! They will fix this ASAP, it's happened before. The 2012 summer olympics are in London! Ohh sorry that is a glitch. I didn'n notice the sheep part... There are a lot of glitches on Club Penguin right now. They'll be fixed soon. 6 am? WOW! I get up at 7:50!!! Ya.. Good thing that these aren't at 3! Happy 80th Birthday to Stickers's Grandma!!! Yeah.. I like CP too.. Okay.. here is the scoop.... to enter the card. go to the Membership section and click "enter code." However, with Club Penguin updating.. I might wait a day or two.. just to ensure that your membership isn't getting all tangled up with everything going on! Hope I Helped! I think you mean 2012 and that is in London! they look like summer olympics with the gymnastics and socer. Club Penguin Pin Cheat - WAGON Pin! Adopt A Club Penguin Orange Puffle Now! Club Penguin Times... Orange Puffle Edition! 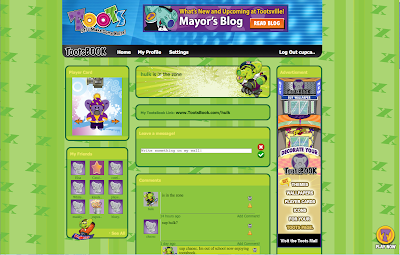 Club Penguin's Screenhog On Puffle Design! Club Penguin Orange Puffle Available THURSDAY! Club Penguin Rockhopper Clip On Toy! Club Penguin Orange Puffle Update! Club Penguin Listened To Us! Language Bar FIXED! Club Penguin Herbert's Revenge Sneak Peek! Orange Penguins Bring Orange Puffles! Club Penguin Puffle Party Free Item Cheats! Club Penguin Puffle Adventure Reviewed By You! Club Penguin New Early Newspaper! Club Penguin Puffle Party Launching Early! Club Penguin Series 7 Plush Toys Available Soon! Club Penguin Series 4 Orange Puffles! Club Penguin Puffle Party 2010 Update! Club Penguin Coins for Cash!? Club Penguin Limited Edition Easter Bunny! Mimo Club Penguin Cave Haiku Contest Finalists! Orange Puffle Found Around Club Penguin! New Club Penguin Pin Cheat - Feather Pin! New Play Secrets of the Bamboo Forest Cheats! New Club Penguin Bambo Forrest Postcards! New Club Penguin Puffle Furniture Catalog! Orange Puffle Discovered In Club Penguin Video! Club Penguin Puffle Party Reviewed By You! Club Penguin Newspaper Delay! Oh No! Club Penguin You Decide Action! Real Pix from Club Penguin Carnaval de Quebec! Major Club Penguin Gang Mimo Moderator Shake Up! Club Penguin Flags Now Available For All! Club Penguin Cave Expedition Reviewed By You! Club Penguin Puffle Party & Play! Club Penguin's Happy77 Asks A Party Planner! Mimo Club Penguin Cave Haiku Contest! Club Penguin Puffle & Play Sneak Peeks!